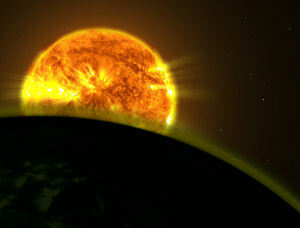 You are here: Home › News › Space › Could heat from a Martian volcano create a habitable environment? 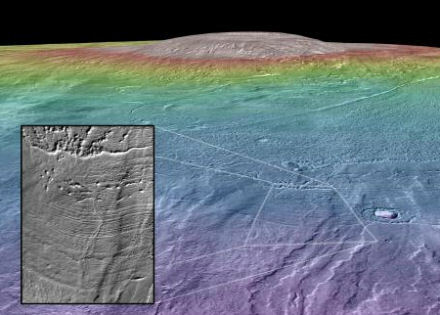 The slopes of a giant Martian volcano, once covered in glacial ice, may have been home to one of the most recent habitable environments yet identified on Mars, according to new research led by Brown University geologists. Nearly twice as tall as Mount Everest, Arsia Mons (pictured) is the third tallest volcano on Mars and one of the largest mountains in the solar system. This new analysis of the landforms surrounding Arsia Mons shows that eruptions along the volcano’s northwest flank happened at the same time that a glacier covered the region around 210 million years ago. The heat from those eruptions would have melted massive amounts of ice to form englacial lakes – bodies of water that form within glaciers like liquid bubbles in a half-frozen ice cube. The ice-covered lakes of Arsia Mons would have held hundreds of cubic kilometers of meltwater, according to calculations by Kat Scanlon, who led the work. “This is interesting because it’s a way to get a lot of liquid water very recently on Mars,” Scanlon said. A detailed report of her work appears in the journal Icarus. 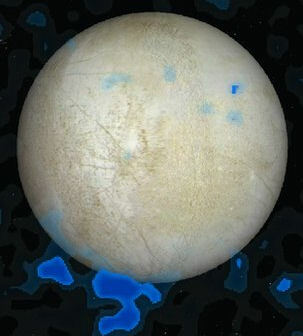 Scientists have long thought that the northwest flank of Arsia Mons may once have been covered by glacial ice. The terrain around Arsia Mons looks strikingly similar to landforms left by receding glaciers in the Dry Valleys of Antarctica. The glacier idea got another boost with recently developed climate models for Mars that take into account changes in the planet’s axis tilt. The models suggested that during periods of increased tilt, ice now found at the poles would have migrated toward the equator. 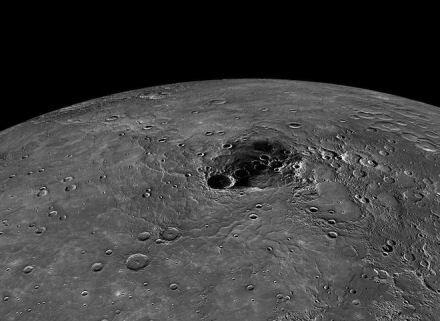 That would make Mars’s giant mid-latitude mountains – Ascraeus Mons, Pavonis Mons and Arsia Mons – prime locations for glaciation around 210 million years ago. To investigate further, Scanlon looked for evidence that hot volcanic lava may have flowed in the region the same time that the glacier was present. She found many pillow lava formations, similar to those that form on Earth when lava erupts at the bottom of an ocean. She also found the kinds of ridges and mounds that form on Earth when a lava flow is constrained by glacial ice. The analysis also turned up evidence of a massive flood that occurred when the water trapped in the glacier broke free. Based on the sizes of the formations, Scanlon could estimate how much lava would have interacted with the glacier. She found that two of the deposits would have created lakes containing around 40 cubic kilometers of water each. That’s almost a third of the volume of Lake Tahoe in each lake. Another of the formations would have created around 20 cubic kilometers of water. 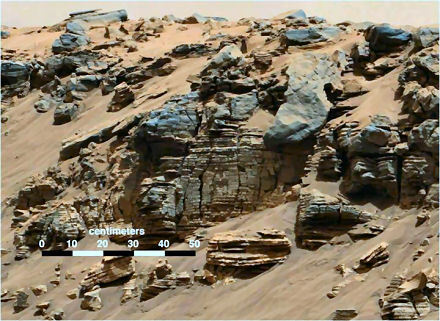 Even in the frigid conditions of Mars, that much ice-covered water would have remained liquid for a substantial period of time. Scanlon’s calculations suggest the lakes could have persisted or hundreds or even a few thousand years. That may have been long enough for the lakes to be colonized by microbial life forms, if in fact such creatures ever inhabited Mars.